Is immigration ‘a good thing’? 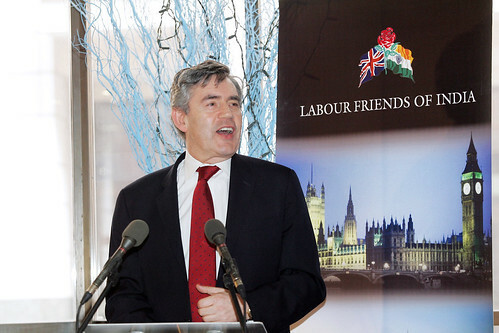 Gordon Brown is in trouble today. A woman complained to him about the number of immigrants coming into the UK… a familiar complaint he has heard many times before, but this time he made a private comment about her in his car just after the event – calling her a ‘bigoted woman’ – and Sky News had left their radio microphone on his suit… so the private comments were recorded and replayed to the world. It was a private comment, and many would credit Brown with telling the frank truth, but Sky can’t be blamed for using the material – any broadcaster would love to have an indiscretion like this on record. But is the woman just reflecting what the majority think, and is the Prime Minister reacting in a liberal left way – horrified that someone might criticise those from another country, or race, or faith? The immigration question is one of the hardest for our politicians to deal with because they never seem to quite get it right. The Labour party at present has made it almost impossible for unskilled workers to enter the UK, encouraged people with specific skills to come using the Highly Skilled Migrant Worker programme, simplified visa approvals using a points-based system, and made it far harder for foreign students to work and overstay their visa. When you list the measures Gordon Brown has presided over, it looks quite tough on immigrants, but the public perception is that Johnny Foreigner continues to flood into the country. The reality is that immigration is reducing – mainly because of the economic downturn and fragile recovery – but again, why ruin perception with reality? 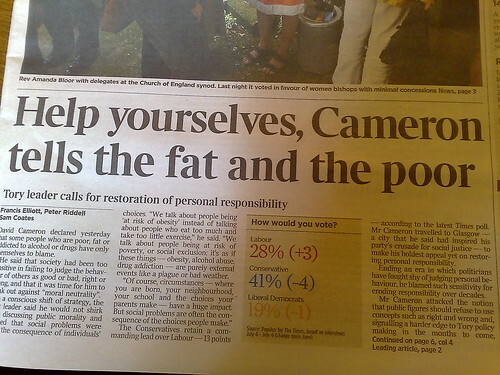 So, is the problem just that nobody trusts politicians anyway? This is really the power of the BNP and UKIP. They don’t behave like ‘normal’ politicians and they focus on the immigration and ‘foreigner’ issues. UKIP has pledged to ban immigration for five years if they had any power over legislation, the BNP has been watering down the racist content of their manifesto, but they still appear to actively favour repatriation of migrant workers. These parties are getting considerable support with their extreme views, and that’s really because of a failing by the major three parties to be seen to be doing something. Brown has argued this point on all the genuine changes he has made to the system. Clegg has argued that we need a better understanding of who is here illegally – potentially leading to an amnesty because that would not change the number of people working, but it would mean they pay tax. Cameron has argued for an absolute cap on immigration numbers by skills. All three of the major parties have ideas on immigration, but they are all essentially failing to communicate the positive values of welcoming people – with skills – to Britain. The skills that help the British economy to succeed – and therefore allows us to live in a prosperous nation far richer than a population of 60m would suggest. They are also failing to explain the different types of immigration; what is a refugee, what is an asylum seeker, what is a highly-skilled migrant… and the freedom of labour movement within the 27-nation European Union. All these issues are entirely confused in the arguments of the ‘bigot’… that’s not implying that those who oppose immigration are stupid, but any debate on immigration has to focus on the real issue that concerns them: Are people coming in and taking work from locals? If that is what people perceive then the mainstream parties need to show that it is not the case, or what they intend to do about it, and they need to do this in a way that people believe. The Prime Minister has a good grasp of facts, but when he reels off stats about this and that, the public switch off and ask why the corner shop sells Polish food. Without once realising that the Polish shop down the road was a Punjabi shop twenty years ago. The major politicians need to explore why normal people are so attracted by the BNP on this issue, why normal people don’t see any value from the European Union – they just see it as Eastern European workers coming to take jobs, and why a caring and tolerant society like the UK should close the shutters to those not born here.